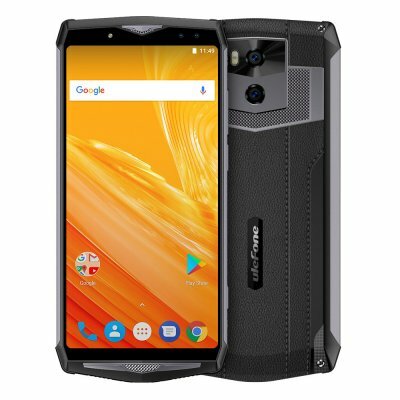 Successfully Added Ulefone Power 5 Android Phone - Octa-Core CPU, Android 8.1, 6GB RAM, Dual-IMEI, 13000mAh, 6-Inch FHD Display to your Shopping Cart. The Ulefone Power 5 is an affordable Android phone that comes packed with the latest hardware and software alike. With its Android 8.1 operating system, this smarpthone is guaranteed to treat you to a smooth and lag free user experience. On its stunning 6-Inch FHD display, your smartphone treats you to breathtaking visuals in 1080p resolution. This makes your Android phone perfect for watching movies or playing games. The phone treats you to 64GB ROM and a 256GB SD card slot. Therefore, you won’t have to worry about running out of space to store your files any time soon. With its powerful 13000mAh battery, this beauty allows you to play games and watch movies throughout the day. With the Ulefone Power 5 at your side, you’ll never have to feel bored again. Within its sleek body, this Android smartphone packs a state of the art Octa-Core processor that has been clocked at 2.0GHz. It furthermore treats you to 6GB RAM that will support all your multitasking demands. With its Dual-IMEI numbers, this smartphone allows you to stay connected to two SIM cards at the same time. If furthermore comes with Dual-Band WiFi and 4G support for ultimate connectivity. No matter where you’ll be going next, with this Android phone in your pocket you’ll always stay within reach to friends and family. This smartphone furthermore comes with a professional-grade Dual-Rear camera. From now on, you’ll be able to snap the perfect pictures and videos of all those upcoming adventures in life. Sensors: Proximity, Gravity, Gyroscope, Light, Pressure,Gravity sensor, distance sensor, light sensor, gyroscope, compass, fingerprint sensor. Type C transfer 3.5mm headphone line.